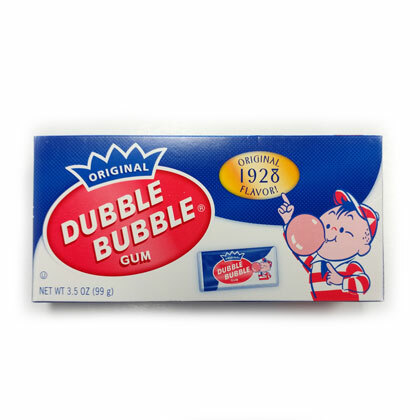 Original 1928 Dubble Bubble gum box. Net weight is 3.5 oz or approx 17 pcs per box. Made in Canada.